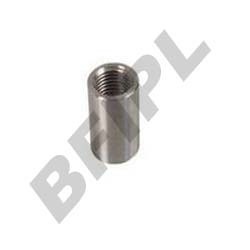 We are one of the leading manufacturers and suppliers of premium quality Forged Pipe Fittings. Forging is specially done to enhance the strength, hardness and durability of the products. We have the most advanced scientific technologies to forge these products. Our products have been tested and checked on various required parameters to ensure that they comply with the international standard. 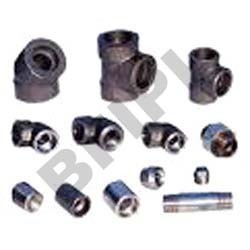 And they are available in various types and models of pipe fitting components. We export a wide range of top quality Flange Pipe. A Flange is a component of piping system which helps in diverting of the flow of the fluid. To enhance the strength, durability and hardness, these products have been forged with special care with the most advanced technologies and high grade raw materials. Compliant to the international standard, they are available in various sizes, dimensions and types to meet our esteemed client's requirements. Besides, we also offer these products at reasonable prices. We supply a varied range of premium quality Forged Pipe Fittings. These products are one of the most important components of piping system. With a special care, these products have been forged with high grade raw materials and most advanced scientific technologies. Compliant to the international standard, these products are available in various sizes, dimensions and models. And they are also available at affordable prices.